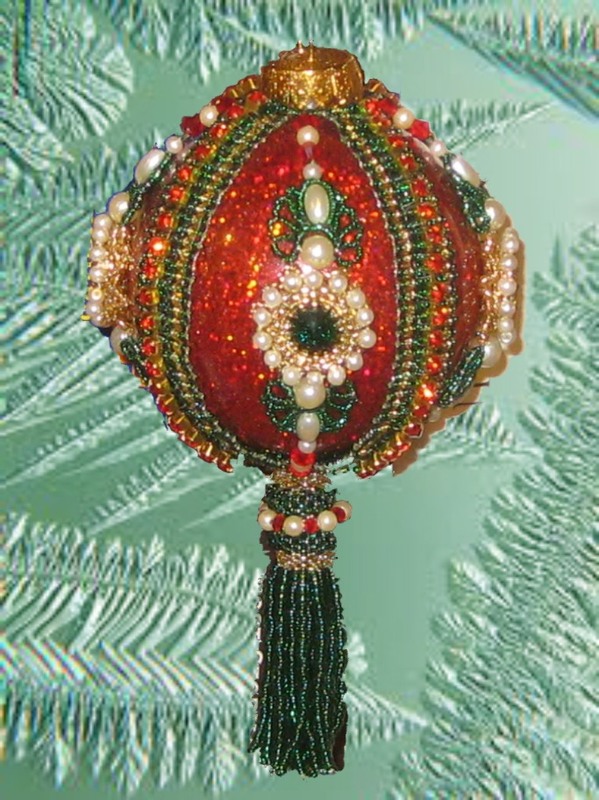 Fantasy 2- This is an instructional pattern for a beaded Christmas Ornament cover made of seed beads, rhinestone chain, Swarovski rivolis and crystals and glass pearls, very elegant and elaborate. This is a 8-page PDF document with detailed instructions and 18 photos and illustrations. 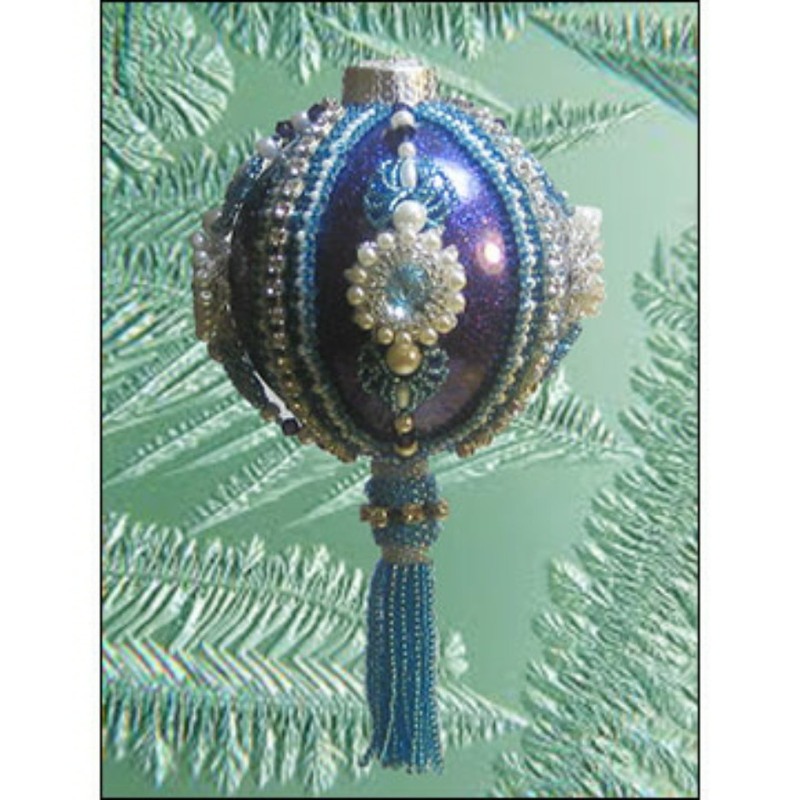 This ornament makes a lovely Christmas gift and is a welcome wedding or shower gift too.